It might be just me, but when I hear a good song in my iTunes collection, I can’t help but feel like–in that moment–the universe loves me. I know hearing it played isn’t pure luck (I downloaded the song to begin with! ), but I like to think that moment is special. I also think open parking spaces in a crowded lot is, again, a sign. A blessing. I SHOULD PROBABLY PLAY THE LOTTO TONIGHT. There are things around my house I pick up and think to myself, Wow, self, this is really cool…you should be glad you have it. Yes, I realize I bought it, but whenever I use it, I’m reminded of how awesome I thought it was when I bought it. Today I’ll be sharing two such items from my house. You’ll either think I have to worst/best taste, but it’s all good. I don’t care. I’m the type of person who plays music loudly in my office and then wave to my neighbors because they probably think I’m one of the best deejays they’ve ever heard. Like, ever. 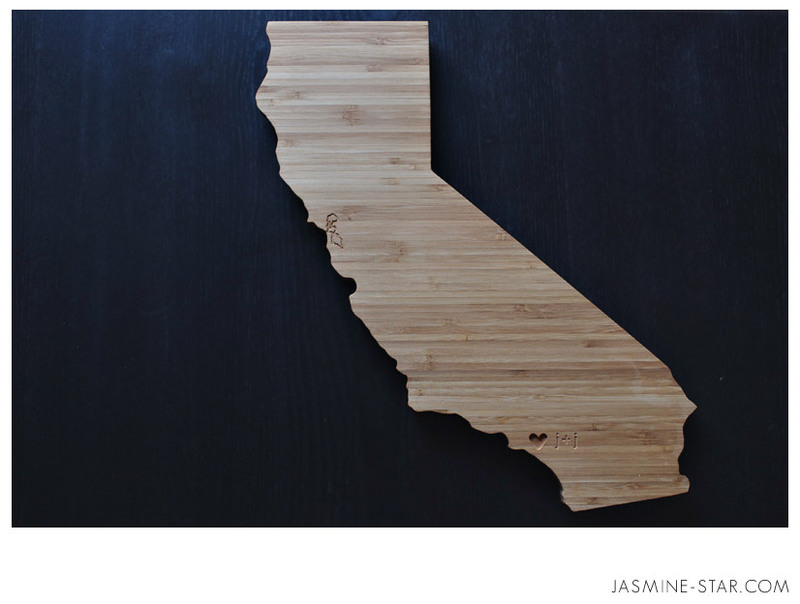 First up is my A. Heirloom California-shaped cheeseboard. I came across this customized board and knew I had to order it. JD is a cheese lover (he even eats the stinky stuff! 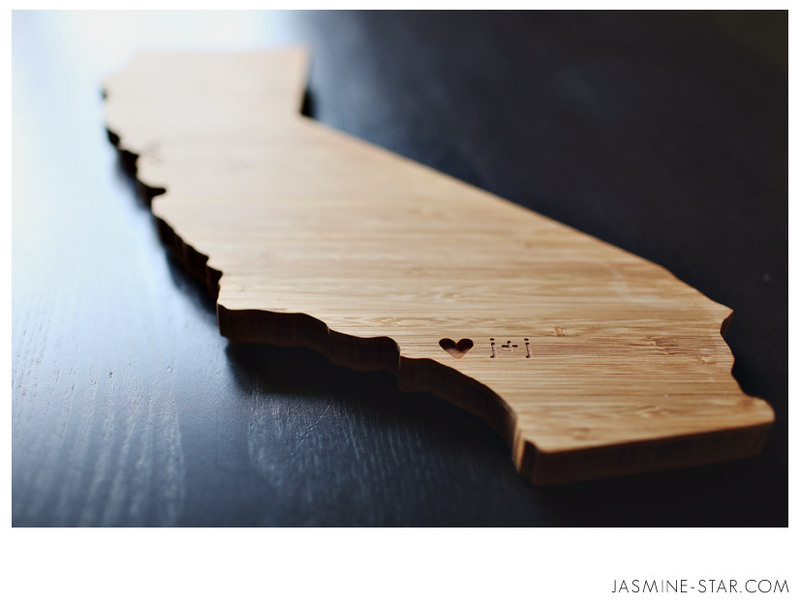 ), so I surprised him with inscribing our initials into the Southern California portion of the state. And I added a heart. Up next is a bath set from Lollia. Maybe I’m getting old, but I love baths now. It’s part of my post-shooting ritual and I’ve taken to hoarding collecting bath salts, bubbles, soap, and oils. 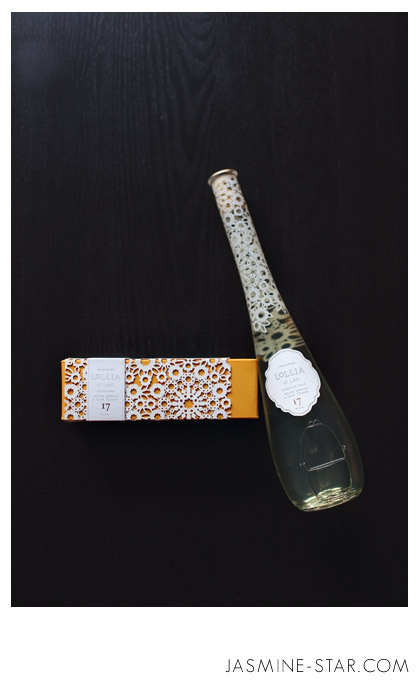 But here’s the thing with Lollia…the packaging just kills me. Yes, I love this stuff, but just look at this presentation…augh. Sometimes I save the bottle to put a single flower in it. This is how I prove I’m a bargain hunter to JD. You see, I’m not just buying bubble bath…I’m also BUYING A VASE!